My quiche making evolution really maps my food history. In my early 20’s I made a very healthy quiche. It was mostly tofu, very light, low in calories, low in cholesterol, and low in flavor. But I ate it - because it was good for me. This Tofu and Egg Quiche recipe is pretty close to what I used to make if you are interested. As I have gotten older and more accustom to gourmet food, taste has become more important to me than it used to be. Now, I would rather eat less of something that has more fat, than more of something that is fat free. For the last 10 years or so I gave up the tofu and have made an all egg quiche. It wasn’t until just recently that I started putting a little bit of whole milk or cream in to my quiche when I have it leftover. This gives the quiche a more custard like consistency, and I enjoy it more. I have come to believe that enjoying food, not just eating for nutritional sake, is a pleasure that is worth pursuing. Depending on your health you will have to decide for yourself which type of quiche would be best for you and your family. In general, I don’t recommend adhering strictly to any quiche recipe. Quiche, like soup and stew, is an opportunity to use leftovers, so experiment. Don’t be too frighten to add unusual things into it. Trust me, it really is hard to make a truly bad quiche. 1 cup of a cooked vegetable: broccoli, spinach, mushroom are good choices. 1) Pre-heat oven to 375 degrees, rack in the middle. 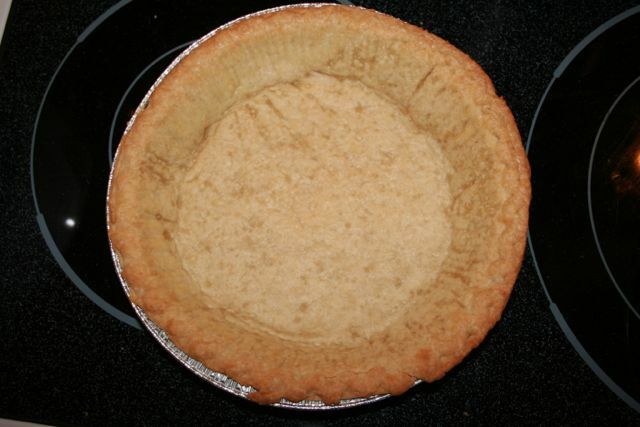 2) Bake frozen pie crust for about 10 minutes. Until it becomes lightly browned. 3) While the crust is browning beat: eggs, milk, nutmeg, salt and pepper together. 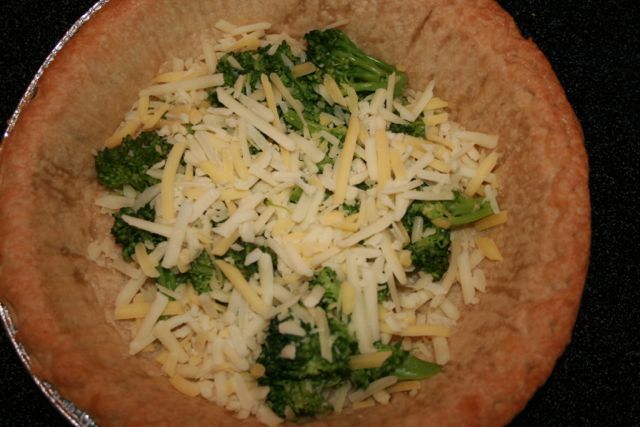 4) Fill browned pie crust with vegetable and cheese. 5) Pour in egg mixture, fill pie to the rim. 6) Bake quiche for 30 minutes on a cookie sheet in case it spills over a little. 7) Test center with a toothpick. If it comes out with hardly any egg on it take the quiche out of the oven. 8) Let sit for at least 10 minutes before serving with a side salad. Add Vegetable and Cheese before eggs. Fill to the rim with egg mixture. This recipe is part of "Foodie Friday" linky with Home Maid Simple. 1) Copy the html from this website's button. It is posted on the sidebar. 2) Past this html to the html page of the recipe you want to link to Foodie Friday. 4) Click on your next. This post is linked up with other foodie sites. Please check out their recipes. I love quiche! We used to have it all the time growing up. I can't seem to get it quite right these days though, lol. Not that there's a right/wrong way to quiche, I just always seem to have too much of one ingredient in it. 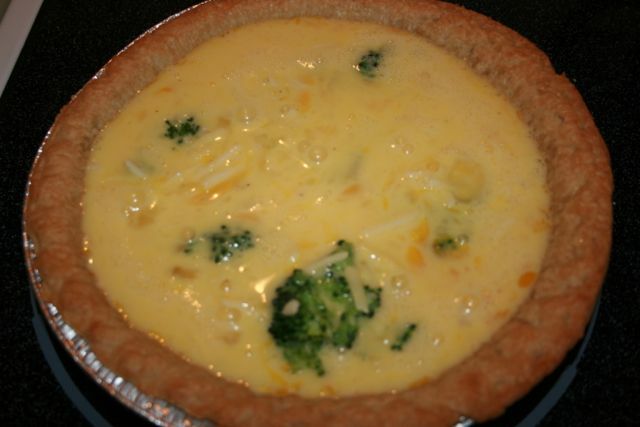 You telling me that your quiche didn't come out well inspired me to write this post. I hope this is helpful. mmmm, that looks super yummy! can't wait to try it! And it is simple to make too. Share a recipe with us. pinned your photo and added my link. Thank you!!! Yum!!! This looks so good!! Veggie Mama isn't into the tofu quiche? The cream one is sooo much better. This looks so good! I"m going to make it next Monday for Meatless Monday. Thanks! Great idea... and eggs are abundant right now in the grocery stores.